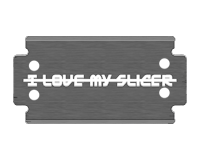 I love the Navy Slicer, its one of the, I've spent the last week soloing round in lowsec engaging pretty much everything, and dying alot than I would have liked. Here are a few brief battle reports about the fails from the last week of flying the Slicer. I'd decided that I'd unless I really couldn't break them that I'd fight to the end and not let anyone go. Thus whilst most of the these could have been avoided if I was more risk adverse, I learned as much from the losses as I did from the kills. Fight went on for too long, ended up getting low on cap not enough to keep running the mwd, made the "fatal" choice to come in close drop mwd and hope to burn through his armour/structure before I died. Was close anyway, he was bleeding structure, so not that disappointed. If I'd have burned away and let him go then I'd still have a slicer. I'd already killed his slicer, and he'd refit and come back in the retribution with MWD and long point. Fight was taking too long, I'd been keeping range but in another derpy moment I managed to burn out my mwd. I then moved into a tight 1km orbit and realised he was not hitting me anywhere near as hard... dammit if only I'd done that from the start. It was a structure race again and until the little insurance notification came up I really wasn't sure who'd won. Great fight with a tusker, both of us ending in structure, which is a patten for most slicer fights. I entered the fight with multi loaded, which was a mistake, by the time I was in range to fire I'd already taken alot of damage. Unlike most ammo you can instantly switch crystals I should have started with scorch, then switched to multi, as I was doing much more damage at the end than he was. Other fights not ending in mails. Vs Pilgrim, caught him running a plex and warped in just as he'd completed the last wave, sitting out at 20km I proceded to kill all his light drones then was settling down to the slow and painful job of not being able to break his armour tank :( dammit! with no friendly pilots in the area to assist. Oh well. Vs Tengu - Yeah really! Again caught a young char (too young) in a plexing tengu in lowsec but was forced off when the next spawn decided that I should be aggro'd. The slicer is a great ship to fly but it's damm fragile and unforgiving. It's also not overly scary, unlike running round in dramiels and the current trend for assult ships people seem willing to engage, and won't instantly run the moment they see you. I found it quite easy to get fights running round a few faction warfare systems, against a wide variety of targets. The extreme nano ability of the slicer means you really should be able to fight only the people you want, and avoid any fights where the odds just aren't any good. Whilst I was flying (&dying) I was working on new fittings, seeing where I'd gone wrong and trying to improve both my flying style and the fitting itself. The final fit I decided on traded some of the agility for more damage. The gistii mwd really helps with cap, you can usually pick them up for 10-12m, CPU is incredibly tight on the slicer, so the co-pro and IFFA allow you to add the extra damage. You do trade agility and speed over my early losses, but you're still faster and more agile than 90% of the ships in EvE but get really good applied damage.